Dentistry is the branch of medicine that is involved in the study, diagnosis, prevention, and treatment of diseases, disorders and conditions of the oral cavity, commonly in the dentition but also the oral mucosa, and of adjacent and related structures and tissues, particularly in the maxillofacial (jaw and facial) area. Although primarily associated with teeth among the general public, the field of dentistry or dental medicine is thus not limited to odontology (from Ancient Greek ὀδούς (odoús, “tooth”) - the study of the structure, development, and abnormalities of the teeth. Because of their substantial overlap in concept, dentistry is often also understood to subsume the now largely defunct medical specialty of stomatology (the study of the mouth and its disorders and diseases) for which reason the two terms are used interchangeably in certain regions. The history of dentistry is almost as ancient as the history of humanity and civilization with the earliest evidence dating from 7000BC. Prehistoric dental surgical techniques are seen in Ancient Egypt, where a mandible dated to approximately 2650 BCE shows two perforations just below the root of the first molar, indicating the draining of an abscessed tooth. Remains from the early Harappan periods of the Indus Valley Civilization (c. 3300 BCE) show evidence of teeth having been drilled dating back 9,000 years. 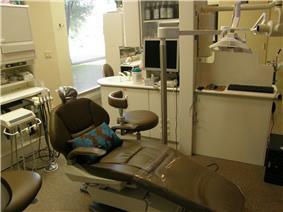 It is thought that dental surgery was the first specialization from medicine. All dentists in the United States undergo at least three years of undergraduate studies, but nearly all complete a bachelors degree. This schooling is followed by four years of dental school to qualify as a "Doctor of Dental Surgery" (DDS) or "Doctor of Dental Medicine" (DMD). Dentists need to complete additional qualifications or continuing education to carry out more complex treatments such as sedation, oral and maxillofacial surgery, and dental implants. Dr. John M. Harris started the world's first dental school in Bainbridge, Ohio, and helped to establish dentistry as a health profession. It opened on 21 February 1828, and today is a dental museum. The first dental college, Baltimore College of Dental Surgery, opened in Baltimore, Maryland, USA in 1840. Philadelphia Dental College was founded in 1863 and is the second in the United States. In 1907 Temple University accepted a bid to incorporate the school. In the United Kingdom, the 1878 British Dentists Act and 1879 Dentists Register limited the title of "dentist" and "dental surgeon" to qualified and registered practitioners. However, others could legally describe themselves as "dental experts" or "dental consultants". The practice of dentistry in the United Kingdom became fully regulated with the 1921 Dentists Act, which required the registration of anyone practicing dentistry. The British Dental Association, formed in 1880 with Sir John Tomes as president, played a major role in prosecuting dentists practising illegally. 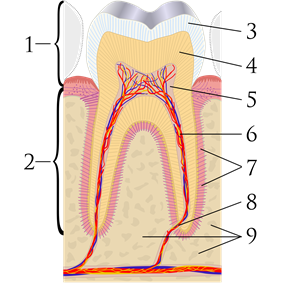 Endodontics (also called endodontology) - Root canal therapy and study of diseases of the dental pulp and periapical tissues. 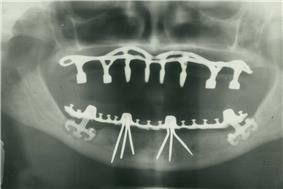 Orthodontics and dentofacial orthopedics - The straightening of teeth and modification of midface and mandibular growth. Prosthodontics (also called prosthetic dentistry) - Dentures, bridges and the restoration of implants. Some prosthodontists further their training in "oral and maxillofacial prosthodontics", which is the discipline concerned with the replacement of missing facial structures, such as ears, eyes, noses, etc. Special needs dentistry (also called special care dentistry) - Dentistry for those with developmental and acquired disabilities. Forensic odontology - The gathering and use of dental evidence in law. This may be performed by any dentist with experience or training in this field. The function of the forensic dentist is primarily documentation and verification of identity. Geriatric dentistry or Geriodontics - The delivery of dental care to older adults involving the diagnosis, prevention, and treatment of problems associated with normal aging and age-related diseases as part of an interdisciplinary team with other health care professionals. Veterinary dentistry, a speciality of veterinary medicine - The field of dentistry applied to the care of animals. 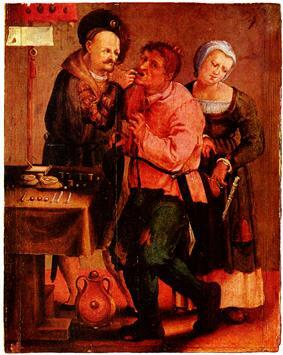 Farmer at the dentist, Johann Liss, c. 1616–17. The Indus Valley Civilization (IVC) has yielded evidence of dentistry being practised as far back as 7000 BC. An IVC site in Mehrgarh indicates that this earliest form of dentistry involved curing tooth related disorders with bow drills operated, perhaps, by skilled bead craftsmen. The reconstruction of this ancient form of dentistry showed that the methods used were reliable and effective. The earliest dental filling, made of beeswax, was discovered in Slovenia and dates from 6500 years ago. Dental needle-nose pliers designed by Fauchard in the late 17th century to use in prosthodontics. The French surgeon Pierre Fauchard became known as the "father of modern dentistry". Despite the limitations of the primitive surgical instruments during the late 17th and early 18th century, Fauchard was a highly skilled surgeon who made remarkable improvisations of dental instruments, often adapting tools from watch makers, jewelers and even barbers, that he thought could be used in dentistry. He introduced dental fillings as treatment for dental cavities. He asserted that sugar derivate acids like tartaric acid were responsible for dental decay, and also suggested that tumors surrounding the teeth, in the gums, could appear in the later stages of tooth decay. Fauchard was the pioneer of dental prosthesis, and he discovered many methods to replace lost teeth. He suggested that substitutes could be made from carved blocks of ivory or bone. He also introduced dental braces, although they were initially made of gold, he discovered that the teeth position could be corrected as the teeth would follow the pattern of the wires. Waxed linen or silk threads were usually employed to fasten the braces. His contributions to the world of dental science consist primarily of his 1728 publication Le chirurgien dentiste or The Surgeon Dentist. 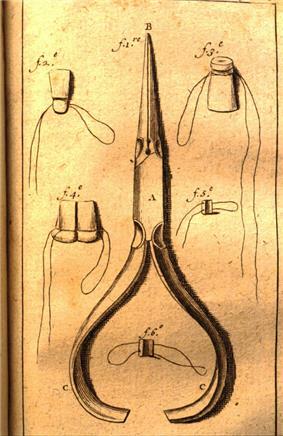 The French text included “basic oral anatomy and function, dental construction, and various operative and restorative techniques, and effectively separated dentistry from the wider category of surgery”. ^ Neil Costley, Jo Fawcett. "General Dental Council Patient and Public Attitudes to Standards for Dental Professionals, Ethical Guidance and Use of the Term Doctor". ^ "Glossary of Dental Clinical and Administrative Terms". ^ Suddick, RP; Harris, NO (1990). "Historical perspectives of oral biology: a series". Critical reviews in oral biology and medicine : an official publication of the American Association of Oral Biologists 1 (2): 135–51. ^ Owen, Lorrie K., ed. Dictionary of Ohio Historic Places. Vol. 2. St. Clair Shores: Somerset, 1999, 1217-1218. ^ Zadik Yehuda, Levin Liran (January 2008). "Clinical decision making in restorative dentistry, endodontics, and antibiotic prescription". J Dent Educ 72 (1): 81–6. ^ Zadik Yehuda, Levin Liran (April 2006). "Decision making of Hebrew University and Tel Aviv University Dental Schools graduates in every day dentistry—is there a difference?". J Isr Dent Assoc 23 (2): 19–23. ^ Zadik Yehuda, Levin Liran (April 2007). "Decision making of Israeli, East European, and South American dental school graduates in third molar surgery: is there a difference?". J Oral Maxillofac Surg 65 (4): 658–62. ^ a b Gelbier, Stanley. 125 Years of Developments in Dentistry. British Dental Journal (2005); 199, 470–473. Page accessed 11 December 2007. The 1879 register is referred to as the "Dental Register". ^ a b The story of dentistry: Dental History Timeline, hosted on the British Dental Association website. Page accessed 2 March 2010. ^ "AVDC Home". Avdc.org. 2009-11-29. Retrieved 2010-04-18. ^ "EVDC web site". Evdc.info. Retrieved 2010-04-18. ^ History of Dentistry: Ancient Origins, hosted on the American Dental Association website. Page accessed 9 January 2007. ^ Suddick, Richard P. and Norman O. Harris. "Historical Perspectives of Oral Biology: A Series" (PDF). Critical Reviews in Oral Biology and Medicine, 1(2), pages 135–151, 1990. ^ Arab, M. Sameh. Medicine in Ancient Egypt. Page accessed 15 December 2007. ^ Bjørklund G (1989). "The history of dental amalgam (in Norwegian)". Tidsskr nor Laegeforen 109 (34–36): 3582–3585. ^ Czarnetzki, A.; Ehrhardt S. (1990). "Re-dating the Chinese amalgam-filling of teeth in Europe". International Journal of Anthropology 5 (4): 325–332. ^ a b "Antique Dental Instruments". Dmd.co.il. Retrieved 18 April 2010. ^ a b André Besombes, Phillipe de Gaillande (1993*). Pierre Fauchard (1678-1761): The First Dental Surgeon, His Work, His Actuality. Pierre Fauchard Academy. ^ Whether Dentists are referred to as "Doctor" is subject to geographic variation. For example, they are called "Doctor" in the USA. In the UK, dentists have traditionally been referred to as "Mister" as they identified themselves with barber surgeons more than physicians (as do surgeons in the UK, see Surgeon#Titles). However more UK dentists now refer to themselves as "Doctor", although this is generally viewed as misleading by the British public (see Costley and Fawcett 2010). UK NHS priority patients include patients with congenital abnormalities (such as cleft palates and hypodontia), patients who have suffered orofacial trauma and those being treated for cancer in the head and neck region. These are treated in a multidisciplinary team approach with other hospital based dental specialities orthodontics and maxillofacial surgery. Other priority patients include those with infections (either third molars or necrotic teeth) or avulsed permanent teeth, as well as patients with a history of smoking or smokeless tobacco with ulcers in the oral cavity also.